Prior to joining the Texas Institute for Excellence in Mental Health, Amy Lodge received a Ph.D. in sociology from the University of Texas at Austin. She works on peer provider projects (including Peer Specialist Integration and Peers in Research) as well as Person-Centered Recovery Planning primarily conducting and analyzing qualitative research. 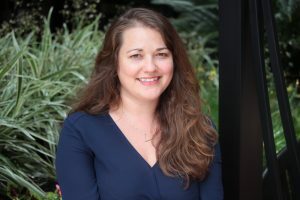 Along with Laura Kaufman and Stacey Stevens Manser, she recently published an article entitled “Barriers to Implementing Person-Centered Recovery Planning in Public Mental Health Organizations in Texas: Results from Nine Focus Groups” in Administration and Policy in Mental Health and Mental Health Services Research. Her future research interests include examining public mental health service providers’ cultural competency working with LGBT populations.